Love INC’s founder, Dr. Virgil Gulker, was a social worker and outreach director in Holland, Michigan, in the late 1970s. Deeply committed to helping people trapped in poverty, he was certain God had called others to the same mission. As he talked to church members and pastors, Dr. Gulker came to understand that Christians did indeed want to help the needy, but they had few ideas about how to do so. 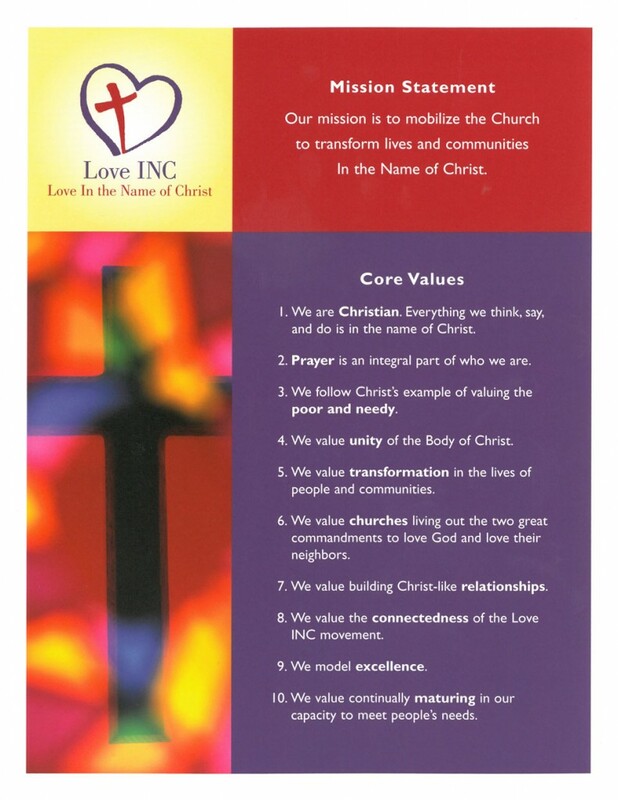 Love INC of Otero County was established through a vision of the Alamogordo Area Ministerial Alliance. It was through a unity of this body of believers that Love INC was formed. Love INC of Otero County currently has over 25 dedicated volunteers that come together every week to reach out to those less fortunate. These individuals have answered the call to serve and believe that this is where God has placed them. Under the leadership of our Executive Director and with the support of our volunteers, our National headquarters and our local board of directors, Love INC of Otero County has met the needs of over 8000 families. This affects an average of over 32,000 individuals since its grand opening in December of 2009. We give all Glory to God for His mercy and grace as we continue our mission to reach out to those in need, In the Name of Christ. 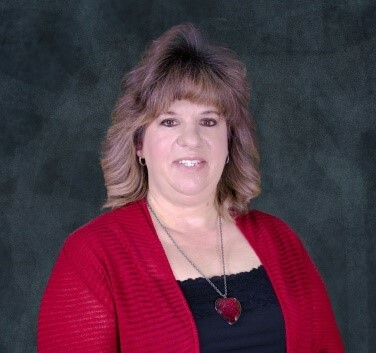 Susan Payne was hired in May of 2009 as Love INC of Otero County’s first Executive Director. When Susan began, Love INC of Otero County was still in the process of obtaining office space, building a resource list and finally, opening their clearinghouse. Susan considers it an honor to have been chosen to build this affiliate. Her professional career includes extensive experience in accounting and non-profits. Her previous employment includes working for such large corporations at Mazda Motor of America in Irvine, Ca. and smaller non-profits such as Seeds of Life Ministries and The United Way here in Alamogordo, NM. In addition to serving as Love INC’s Executive Director, Susan also serves her community as an elected member of the Alamogordo City Council. Susan holds a bachelor’s degree in criminal justice administration and a Master’s Degree in Public Administration from Park University. While Susan is excited about the work that Love INC has accomplished in her community, she considers her greatest joy her beautiful family. Susan and her husband, Ray, have been married 31 years and have three children Jessica (with husband Julian), Ray Jr. and Kimmy, plus two grandchildren, Sydney and Dane, whom they are extremely proud of. Ray and Susan are members of First Baptist Church here in Alamogordo, NM. 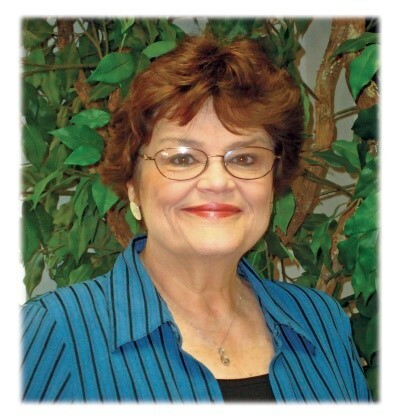 Marj has served as the ministry assistant for Love INC of Otero County for five years. Her professional career includes working in the field of education as well as holding positions in corporate America for large organizations, such as Oppenheimer funds. 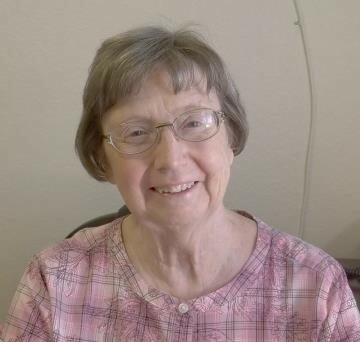 Prior to moving to Alamogordo, Marj and her husband, Karl, lived in Raton, NM, where they owned and operated a motel for 18 years. Marj’s husband, Karl, is also one of our volunteers, working primarily in building maintenance. In addition to her duties as our ministry assistant, Marj also serves as our Transformational Ministries Coordinator. Marj’s passion for this program is evident as she works tirelessly each week to ensure that our program runs smoothly. When Marj isn’t working she enjoys spending time with Karl and their adorable dog, Baxter. Marj and Karl attend Westminster Presbyterian Church where Karl serves as a deacon and where they are both active in various ministries. 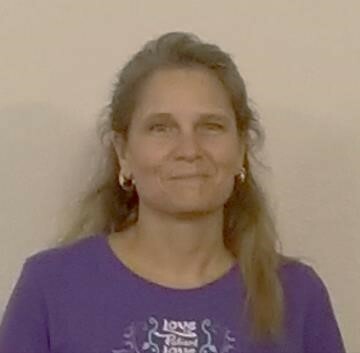 Tina has been with Love INC as the Clearinghouse Coordinator since 2018. She is married to her husband, John, and they have a blended family of 6 children and 3 grandchildren. Tina is originally from New York state. After visiting their son, Joseph, who played for the White Sands Pupfish, they decided to move to Alamogordo to escape the harsh northeast winters. Tina’s professional career has included jobs, from retail to medical billing, grievance and appeals to delivering mail for the USPS to making deli soups and sandwiches. Customer service has been her life. Tina is a volunteer Firefighter and Chaplain for the La Luz VFD and the Otero County Firefighters Association. Tina and John attend Christ Community Church here in Alamogordo. Kim Richards has served on the Love INC board for 6 years now, first as a board member and for the past 3 years as the board president. She is employed with The Counseling Center (TCC) for over 21 years as the Chief Operations Officer where she oversees the staff and services provided by the agency. Kim also has been the county DWI instructor for Otero County for over 20 years. She is a member of Communities of Care and Otero County Health Council. Kim has one daughter and two grandchildren. Kim’s passion for helping others is evidenced by the fact that she has been actively involved in various efforts throughout her career to better meet the needs of at risk and underserved youth and families in our community. Kim accepted the Lord in 1983 and was baptized in Mount Calvary Baptist Church in Tucumcari, NM. Kim was an active member of Calvary Baptist Church for over thirteen years and was involved in mission trips to Belize, served as WMU director, lead CIA (Children in Action) educating youth to be mission minded. She has served as a disaster relief volunteer in the past. Currently she is an active member of First Baptist Church, serving on the church council and as a Sunday school teacher. Leonard has been a member of the Love INC board since 2014. He and his wife, Lily, have 4 children. 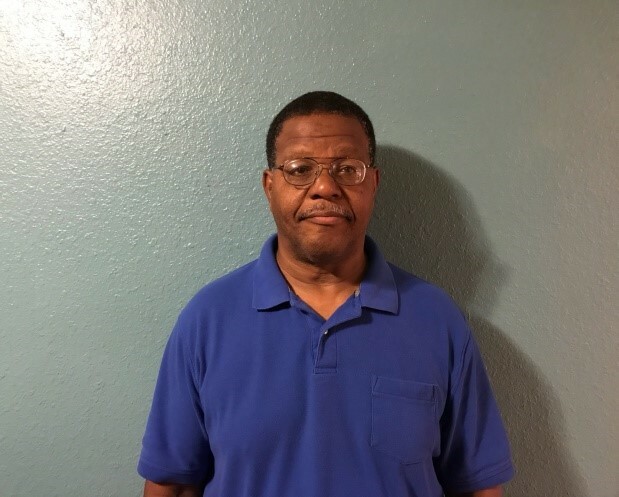 Leonard is retired from the United States Air Force and since that time, has been a small business owner. Leonard was instrumental in leading the start of Love INC’s community garden which brings together people from all walks of life to share their knowledge and experience with our clients who are working on becoming self-sufficient. In addition to his work with Love INC, Leonard also volunteers at Grace Methodist’s “shared table” weekly community meal project as well as mentoring young people through the “Big Brothers/Big Sisters” program. Leonard and Lily are members of Corinth Baptist Church where he serves as one of their deacons. Cathe has served on the Love INC board since 2017. Cathe and her husband, H.R., have been married for over 40 years and have 4 children and 14 grandchildren. Cathe is retired from Otero County where she began her career in the treasurer’s office as a clerk and eventually made her way through the ranks first as deputy treasurer and in her last position where she was elected to serve as the Otero County Treasurer until her recent retirement. These days Cathe and H.R. are spending lots of time helping their son with his newly established business. She stays active in various projects and enjoys spending time with her grandchildren. Cather and H.R. are members of Westminster Presbyterian Church where she serves as church pianist and assists with various ministries. Crystal has served on the Love INC board since 2018. Crystal was born and raised in Alamogordo. She has been married to her husband, Allen, for 28 years. They have two daughters, one granddaughter, and one grandson. Crystal’s early career began at The Counseling Center in 1992. 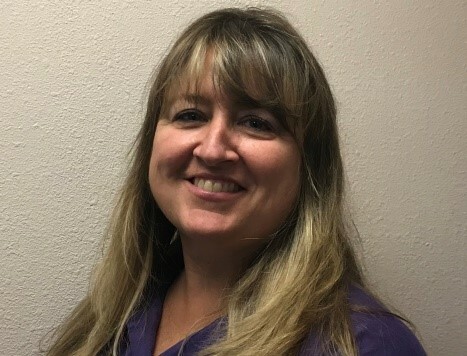 She served as the Administrative Director for both Otero and Lincoln County offices and managed the Intake, Medical Records, Insurance Billing, and Financial departments for 17 years. Crystal was the project lead for The Counseling Center’s extensive software conversion to an Electronic Health record system. During her tenure there she also served as the Otero County DWI School Director. Crystal is now a small business owner having started Total Destruction document shredding and document storage after her tenure with The Counseling Center. Crystal is a member of the Alamogordo Rotary Club and still takes time to volunteer for the Counseling Center. LaTanya Boyce has been serving on the Love INC board since 2018. 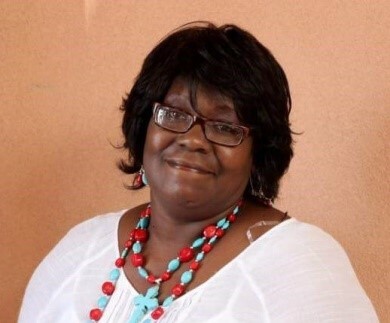 La Tanya has served in several ministry capacities including Chaplain, Camerwoman and Producer of a 28 minute program on KVBA TV63, a Prayer Warrior for Breakthrough Prayer and Women Aglow and a Visionary of Stay in the Race Network. As her life was transformed from darkness to His marvelous light by the power of God, what He did for her she now believes He will do for others through Love INC of Otero County. 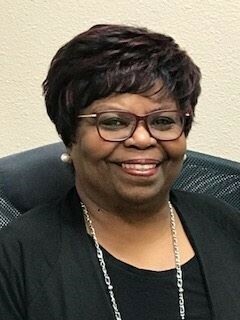 LaTanya is currently a title officer for a local title company in our community and also serves as the Otero County Probate Judge.